Party Poker - Get It Free! [tester] Party Poker is one of the world's largest online poker brands in terms of number of players and revenues. You'll find a great variety of poker games and tournaments, which an independent opinion poll of poker players reviewed as "easier to win at PartyPoker.com than at any other online poker room". This promotion is not available to US, FR, ES, or IT players. IMPORTANT: You MUST follow the instructions! READ them carefully. PLEASE NOTE: This offer is only valid if you do not have an account already setup with Party Poker. Step 1) Download Party Poker through this link. Step 2) Create a new account and make sure you use the bonus code HEM. Failure to provide this bonus code will void your eligibility for this promotion. Step 3) Go to the cashier and deposit at least $25.00. 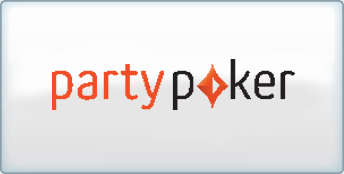 Party Poker will match your deposit 100% up to $500.00! Step 4) Let us know your Party Poker username by clicking "Next" at the bottom of the page. Step 5) Begin playing and earn 250 points.